BBC broadcaster and local journalist Adrian Goldberg will be on hand on 29 November to cut the ribbon on a new £2.2million CT scanner suite at Sandwell Hospital. A CT (computerised tomography) scanner is a special type of X-ray machine that uses a rotating beam of X-rays to produce a series of digital images of the body. These images are then interpreted by doctors called radiologists or sometimes by specialist radiographers. 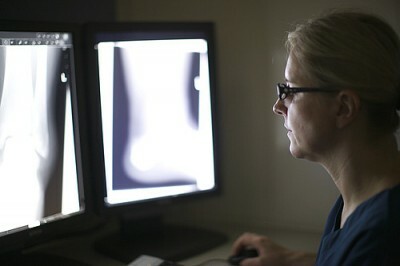 Sandwell Hospital’s new Siemens CT scanner recently became operational within a newly commissioned, purpose-built suite. The CT department now supports the successful acute stroke unit at Sandwell, providing quicker diagnosis and treatment for stroke patients within the borough and beyond. Due to the continual rise in demand for CT scans from all services from the trust, the scanner also benefits patients being treated in other departments. Consultants from stroke and imaging services, as well as radiographers, sonographers and other staff from Sandwell and West Birmingham Hospitals NHS Trust, will be joining Radio WM’s Adrian at the official opening on Friday. Dr Jonathan Benham, Group Director of the Imaging Department, said: “We are delighted that local personality Adrian will be joining us to open the scanner suite and express our gratitude to the many individuals and departments at the Trust who were involved, thanks to whom the multi-million project was completed on time and within budget.